Depending on where you live, this winter has been a rough one. Although cold weather can feel endless, the good news is that spring is right around the corner. With warmer weather comes the chance to get outside and enjoy your yard space. If you’re lucky enough to have a patio, now is the perfect time to start thinking about which patio seating options are best for your space. 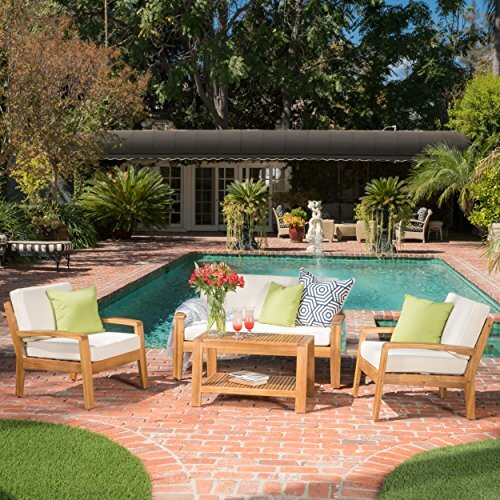 Since you’ll probably be spending a lot of time on your patio, it’s important to have furniture that is not only comfortable, but stylish as well. Here are 10 of the best patio seating options for your outdoor space. 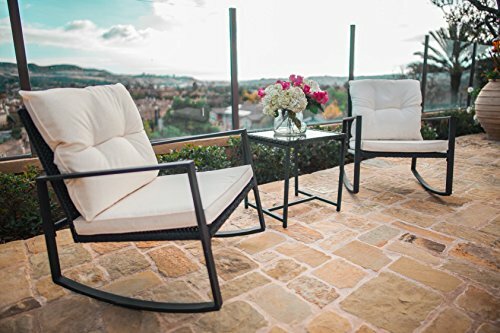 Complete with a tempered glass-top table, this set of patio furniture is simple, yet stylish enough to spruce up any patio space. Living rooms aren’t the only places for couches. 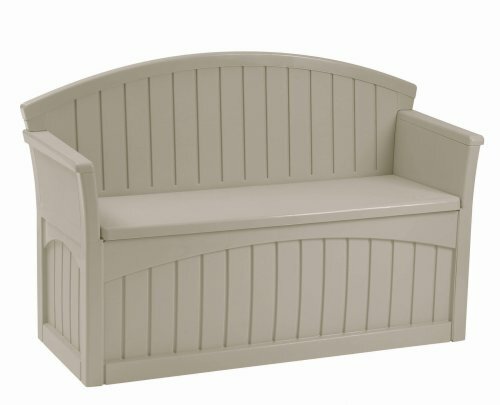 This chaise sofa is the perfect patio seating option for people who are looking to give their yard a more dressed up look. 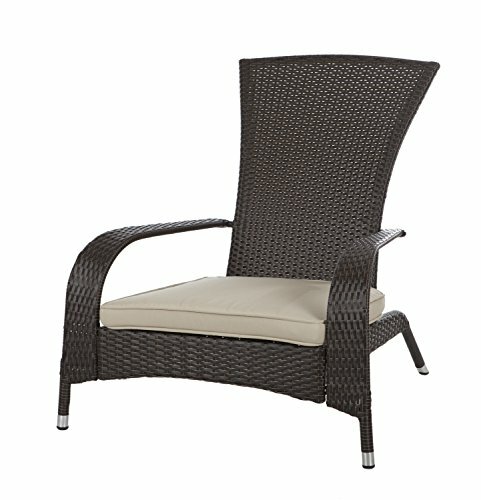 Made from wicker, this patio chair was made to withstand almost any weather condition. This means that you won’t have to worry about dragging your furniture inside every time it rains. Have you always envisioned yourself sitting in a rocking chair after a long day? 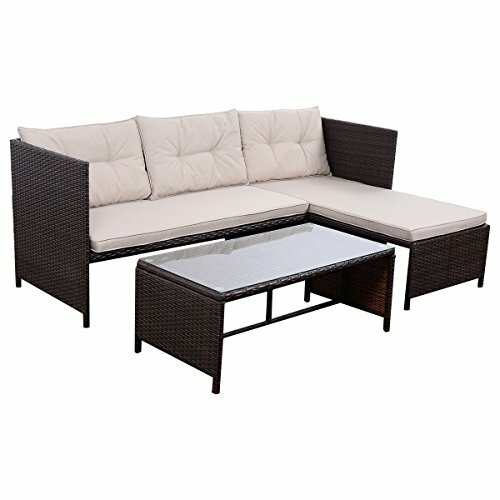 This rocking wicker set is just what you need. 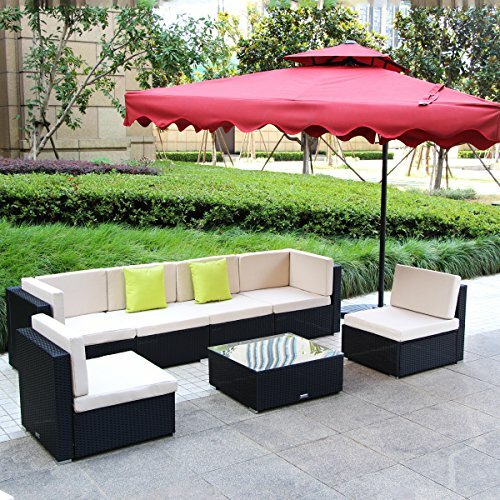 If the ‘traditional’ patio seating options just aren’t what you’re looking for, this 3 piece set provides a great alternative. 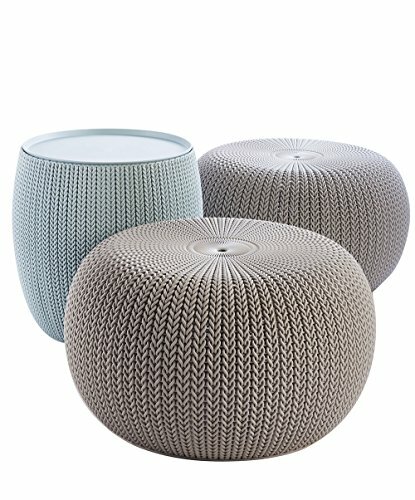 Great for small spaces, this set comes with two poufs and a table. Patios can be great for entertaining. 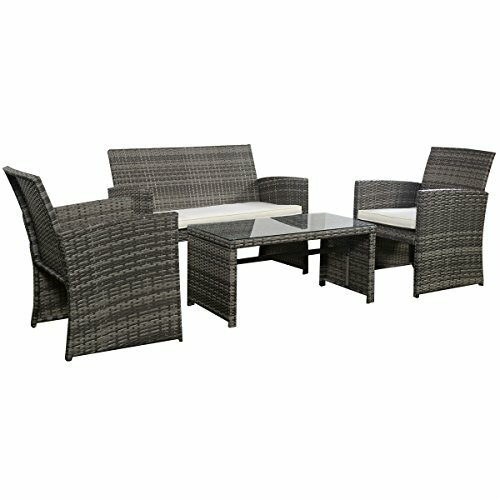 This beautiful 4 piece wicker furniture set can make your patio feel a little more formal – making it a great place to host dinner parties and other events. Although most people love warm weather, sitting directly in the sun can be uncomfortable. This folding furniture set comes with an umbrella to give you a break from the sun. 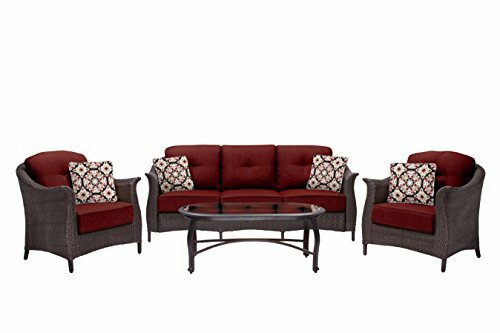 Nothing beats the classic look of wood, this lovely furniture set comes with water resistant cushions to ensure that this product will last you for years to come. Benches are another nice patio seating option. In addition to being used as a place to sit, benches can also be used for decoration. 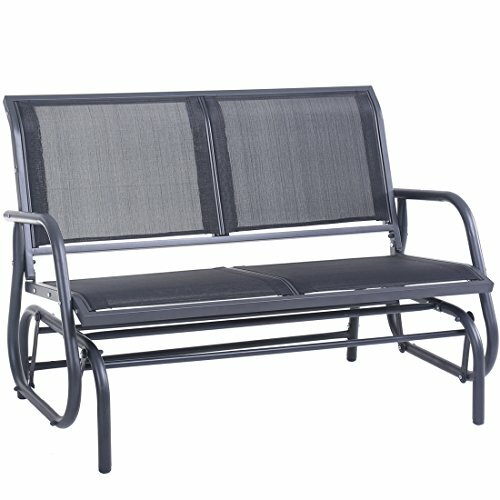 This outdoor gliding chair has a smooth swinging motion that will provide you with additional comfort and relaxation.